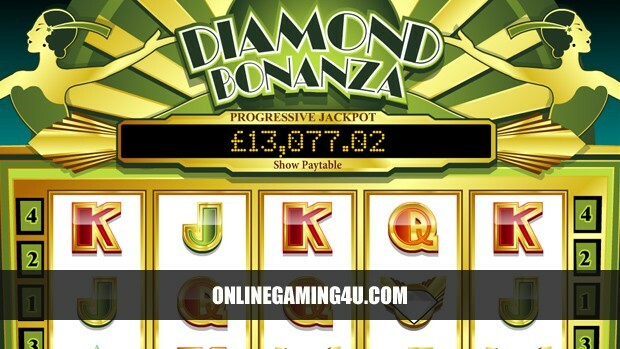 Summary: Diamond Bonanza is a fantastic slot game with fantastic features and bonuses. Diamond Bonanza is one of the most popular slot machine games on the web. 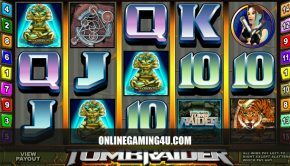 It is readily available to play and start winning big cash jackpots now over at Jackpotjoy and other top brand casinos. Not only is it fun to play but you can also chat with other players at the same time and enjoy hours of entertainment fancing your chances of one day scooping a big prize. Diamond Bonanza is a 5-reel, five pay-line progressiveslot machine game. There are five spinning reels which form your winning combinations. For every coin that you put in, you enable another pay-line. When the reel stops, the computer checks the combinations of symbols along each enabled pay-line. As with all progressive jackpot games, the coin size determines the amount that can be won overall as a jackpot prize making the selection of coin size at the start of the game very important. A portion of every bet placed for each spin is transferred into a jackpot pool which accumulates until it’s won. 5 diamond symbols on the 5th pay-line will win the progressive jackpot prize. The Jackpot is a constantly accumulating prize. The current value of the Progressive Jackpot is displayed in the game. To qualify for the Progressive Jackpot, you must wager a maximum bet of five coins per spin. Diamond Bonanza is a simple slots game that follows the basic principle; decide on how many Coins you wish to play. 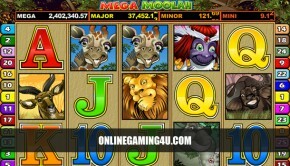 (To play for the Progressive Jackpot you must wager the maximum number of coins). Decide how many coins you wish to bet by clicking on the Bet One or Bet Max buttons. Use the Bet Max button if you want to wager the maximum number of coins for the slot machine on the next spin. The Bet Max button will allow you to win on all pay-lines available for that game. Press Spin to start the reels spinning and commence the game.